Gregg Hallbauer, DO, MCG, a family physician and board-certified Fellow of the American Board of Family Physicians, has been active in the Conroe medical community since 2001. 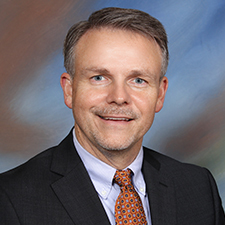 From 2001-2008, Dr. Hallbauer served as the Associate Program Director of the Conroe Family Medicine Residency where he oversaw the education of over 50 family physicians at Lone Star Family Health Center. After partnering with the multi-specialty group Sadler Clinic from 2008-2012, Dr. Hallbauer launched his private practice that resides in Lake City Plaza on West Loop 336 in Conroe, Texas. Dr. Hallbauer grew up in Pearland, Texas, and has a Bachelor of Music degree in piano and pre-med studies and a Master of Clinical Gerontology, both from Baylor University in Waco, Texas. He was commissioned as an office in the United States Air Force to complete a 3-year residency in family medicine at Eglin Air Force Base near Ft. Walton Beach, Florida, where he was named “Resident of the Year” and received the Society of Teachers of Family Medicine’s “Resident Teacher Award.” Dr. Hallbauer obtained the rank of Major in the U.S. Air Force, taught at the family medicine residency at Andrews Air Force Base in Washington, D.C., for three years, and was deployed to Saudi Arabia where he took care of airmen during Operation Southern Watch. While serving on the faculty of the Conroe Family Medicine Residency, Dr. Hallbauer received the residency’s “Faculty of the Year” award, served in leadership roles in the Texas Academy of Family Physicians, and served as Doctor of Day for the Texas Capitol. Dr. Hallbauer graduated from medical school at the University of North Texas Health Science Center in Ft. Worth in 1995. Dr. Hallbauer has been board-certified since 1995 and is a Diplomate of the American Board of Family Medicine and an active member of the American Academy of Family Physicians. Dr. Hallbauer has formerly served as Medical Director for Willis Nursing & Rehabilitation and as an Associate Medical Director of Rose of Texas Hospice. Dr. Hallbauer and his wife Joslyn have three amazing boys—Grant, Gage, and Garrett. Grant is a 2017 Graduate of Baylor University and is pursuing a Doctor of Physical Therapy at Baylor. Gage attends Baylor University and is a pre-med University Scholar major. Garrett attends Conroe High School where he is active in the Academy for Science and Health Professions, sports, and band. Joslyn teaches elementary music grades K – 4 at Wilkinson Elementary in Conroe. When Dr. Hallbauer is not at work, he enjoys outdoor activities, working in the yard, spending time fly fishing or snowmobiling at his family’s cabin in Lake City, Colorado, watching his boys play sports or their instruments, teaching Sunday school, and playing the piano. Dr. Hallbauer has been on several mission trips to the Domincan Republic. In May of 2017, he accompanied the Baylor Men’s Choir on their mission trip to Kenya and supervised their medical projects. The Hallbauers are active members of First Baptist Church in Conroe, Texas, where Dr. Hallbauer also serves as a Deacon and reserve pianist. Dr. Hallbauer enjoys accompanying Conroe ISD honor choirs and student soloists, especially his sons on their clarinets and oboe. He has been featured duo pianist in the Conroe Symphony’s performance of Saint-Saen’s Carnival of the Animals.